Don Meyer Construction serves Big Bear Lake, Lake Arrowhead, and the surrounding areas. DMC provides services to clients who value creativity, experience, and hard work. In addition to custom quality homes, DMC specializes in additions, remodels, decks, garages, retaining walls, and driveways. Call today to see what DMC can do for you 909-436-9117. 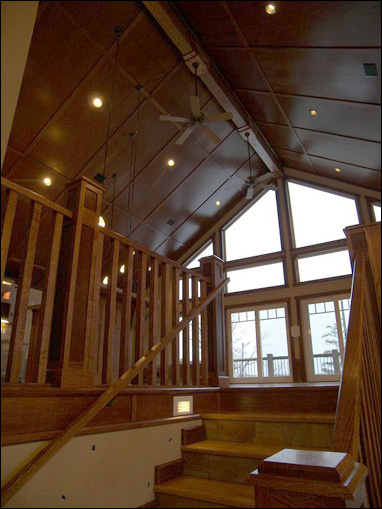 DMC specializes in custom quality homes, from foundation to finish. Don Meyer has been licensed for 27 years and is a member of Big Bear Lake Contractors Association. Whether you need his services from start to finish, or anywhere in between, Don Meyer will be able to build the next project of your dreams. Teamwork, integrity, and commitment are the foundation of what makes DMC the builder of choice in Big Bear Lake and Lake Arrowhead.